Indeed, data reveals that companies with highly engaged workforces outperform their peers by 147% in earnings per share and 6% higher net profit margins. But what does it take to create highly engaged workers? Leadership. HR and management are turning increasing focus on what employees really want in the workplace. Even when businesses discover the multi-faceted, and sometimes contradictory, answer to this question, the challenge remains to deliver on employee aspirations for their workplaces. Forward-looking organizations are turning to multi-disciplinary strategic approaches such as Design Thinking to shed insight into these complexities — not only to re-imagine the employee experience but also to redesign their organizations in ways that propel them into the future. At its core, Design Thinking embodies the values and practices that it fosters — cross-functional teams and collaboration, inclusivity, experimentation, speed and agility, iterative learning, openness to failure and most importantly, placing people at the center of every step of the process. This is the Employee Experience (EX) holy grail. Last year, Deloitte surveyed more than 10,000 HR and business leaders for their Global Human Capital Trends Report, highlighting the desire to leverage Design Thinking within organizations as a tool to improve and consciously co-design the employee experience. Yet many organizations struggle to interpret this novel approach let alone implement its values within their existing cultures. Those that do integrate Design Thinking into their processes and culture gain the ability to compete on another level to their counterparts. For example, according to Gallup, work teams in the top quartile in employee engagement outperform bottom-quartile teams by 10 percent in customer satisfaction ratings, 21 percent in productivity and 22 percent in profitability. In addition, a five percent increase in employee engagement correlates with a three percent increase in revenue growth in the subsequent year. Leading global companies including Cisco, Ford and IBM have embraced Design Thinking methods. In 2016, Cisco initiated an HR “Breakathon” inviting employees to problem-solve biggest challenges that HR faced. They used this co-creative approach to identify pain points, conceive new solutions and instill confidence in their employee base by executing selected ideas including a new employee onboarding process. Ford took a similar Design Thinking approach of problem-solving through inclusivity and transparency by embarking on a Global Listening Tour, empowering employees to re-imagine the Employee Experience (EX) through active participation in the transformation of the 200,000 employee organization. These companies, in concert with their employees as active stakeholders, are reaping the rewards of deliberately creating an adaptive and holistic Employee Experience. In true Design Thinking fashion, let’s begin with people. What desires and motivations do employees share for their aspirations in the workplace, and more broadly in their careers? And how do you align these ideals with the organization’s vision and values? Although some companies may conclude that with the recent significant focus on customer experience, a simple re-focus to include employees provides a simple, easy answer. Not necessarily. Employees are different to customers, especially as the definition of “work” continues to evolve and transition from delivering functional needs to include more emotional rewards. Work is no longer just a job “to pay the bills.” Workers closely tie their work self-identity, purpose, personal growth and expect a dynamic reciprocity between employer and employee. A recent global survey of 26,000 LinkedIn members, run with Imperative, revealed 74% of candidates want a job where they feel like their work matters (raising the question about whether any organization would want the quarter of employees who just don’t care to work for them). Given the myriad of expectations employees have from their career, employers are scrambling to redefine responsibilities to keep up with types of work that provide meaning to employees and are consistent with operational requirements. One proven way to bridge employer and employee expectations is to ground them in a common vision, or as we call it, Shared Purpose. Shared Purpose provides both an anchor in a common focus, and a momentum for moving forward in that direction. “Employee engagement” has become a reflexive buzzword, but for all the talk, the results of employee engagement are largely dismal both in the U.S. and internationally. According to the most recent Gallup survey, 87% of employees worldwide are disengaged, and companies with a highly engaged workforce outperform their peers by 147% in earnings. We see employee engagement as only one component of the entirety of Employee Experience, which encompasses the totality of the employee journey from end-to-end. Considering the employee journey as a sum of interactions developed over time between an employee and employer, the relationship actually begins well before the employee even becomes an employee… and continues even after they cease being employed by that company and become alumni. We see the Employee Experience consisting of five key phases – Recruitment, Selection, Orientation, Development and Sustainment. Through Employee Experience (EX) Journey Mapping, we systematically visualize, assess and raise strategic questions to uncover and pinpoint promising opportunities. How do seasoned employees navigate the hierarchy and politics associated with stepping into a leadership role? 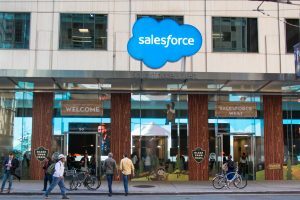 In a recent New York Times article, CEO Marc Benioff explains the orientation process for new employees at Salesforce, “On their first day of work, we take everyone and we show them the kitchen and the bathroom and their office and their desk. Then we take them out and they do service in the afternoon. They’ll go to a homeless shelter or they’ll go to the hospital or go to a public school. This is a very core part of our culture.” Now removing new employees from the workforce the same day they join it is not the traditional way companies integrate new hires. But Benioff integrates a mentality of interconnectedness and purpose into the Employee Experience from the inception of the employment relationship, recognizing that the local community, economy and environment are a part of a larger system that determines the success of the company and its people. 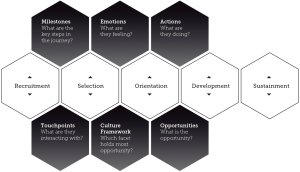 At BrandCulture, we integrate the key moments across the employee journey with a six-part framework that examines the critical dimensions that influence the employee experience. Our Culture Framework provides depth to the breadth encapsulated within the Employee Journey Mapping by incorporating the various facets of interactions between employees and organizations, these include Leadership, Communications, Symbolism, Rewards & Recognition, Environment and Structure. 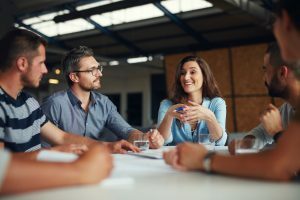 The Leadership dimension focuses on clearly establishing priorities and inspiring employees to reach their highest potential, while Communications assesses whether information disseminated is compelling and clear to prospective and existing employees, galvanizing organizational culture and activating the Shared Purpose. Netflix is a company that is consciously co-creating an Employee Experience (EX), putting culture at the forefront of their employer value proposition. Their Shared Purpose is crafted around the balance of “freedom and responsibility” among their employee base and is operationally integrated into their daily practices. In order to instill a culture that embraces continuous learning and openness to failure, they have implemented practices such as “sunshining,” where they deliberately bring light to one’s failures and have an open dialogue with others to learn from those mistakes. Netflix’s chief executive, Reed Hastings will actively participate in “sunshining,” further instilling the culture through leadership. This is an example of how Communications and Leadership are simultaneously activated through open dialogue and participation from leadership. Symbolism, the most etheric of the dimensions, develops significance in cultural hallmarks that serve as touchstones of the organization. In the same way a red rose symbolizes love or a wise old owl evokes wisdom, many significant corporate symbols are visual, starting with the logo and visual vocabulary that defines the organization’s brand. But other symbols emerge over time and take on institutional significance as they represent something unique to the culture. New Belgium Brewing company gives every employee a limited edition “Fat Tire” cruiser bike like the one depicted in the illustration on their flagship beer on the one year anniversary. 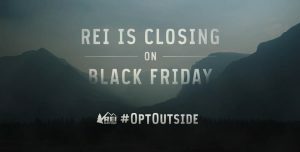 Symbols can also be collective management actions, like REI shutting down on Black Friday each year to underscore their commitment to #optoutside life before consumerism. Symbolism can also emerge in the unique way employees conduct their essential job functions. “Living the Southwest Way” means employees embody a Warrior Spirit, a Servant’s Heart and a Fun-LUVing Attitude. These values encourage employees to strive to be the best, embrace the Southwest family, celebrate successes and perhaps most importantly, don’t take themselves too seriously. All of these tenets are alive in their pre-flight safety announcements. They’re witty and personality-driven, but efficient and attention-grabbing. Despite their lightheartedness, they always cover the important and necessary safety briefing in an inspired way. 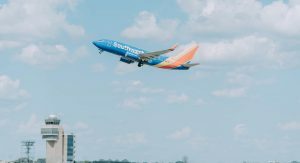 And they are a perfect symbol for the airline’s cultural framework that centers on whimsy and fun… and wears its heart on its sleeve. They are tiny insights into the priorities of the organization and hallmarks of its spirit, and they serve as living symbols of the culture’s personality. Symbolism can even take the form of a song. Princess Cruises covers the globe with a worldwide fleet of magnificent ships in continual operation. On changeover days, as many as 3,600 guests disembark a ship shortly before the same number of new guests arrive onboard. 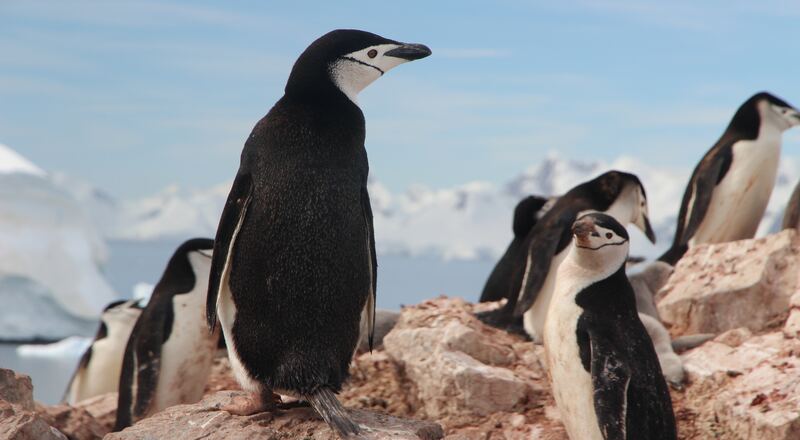 For crew members, changeover days represent a unique challenge of precise orchestration and hard work, but for arriving guests, this long-anticipated day is the beginning of the vacation of a lifetime. BrandCulture worked with Princess Cruises to commission an upbeat, inspiring anthem to play throughout the ship on these critical days. The anthem provides crew with a much-needed boost in energy as well as a signature aural reminder that guests are experiencing the ship anew, and that the only reason Princess Cruises sails each day is to create unique, memorable vacation experiences for its guests. Amongst other Design Thinking initiatives, tech powerhouse IBM invited its employees to re-envision their Rewards & Recognition program by conceptualizing and iterating a new performance management system. Although the employee base was skeptical that their ideas would actually be adopted, leadership demonstrated their commitment to the initiative by implementing the solution five months after it had been co-created – catalyzing a transformative Employee Experience (EX). Zappos has a rather unconventional “recognition” program in place called the “Monthly Hero” program. Every month, every Zappos employee is given $50 they can “give” to a coworker as a bonus and as a way to recognize that co-worker for doing a great job. Once a month Zappos executives pick a name from the workers that were given the $50 bonus and dub him/her the “Monthly Hero.” The company then proceeds to throw a mini-parade to announce the monthly hero through a rolling sound system that’s accompanied by noisemakers and playing of the song “I Need A Hero” by Bonnie Tyler. If all that wasn’t amazing enough, the monthly hero then wins a covered parking spot, a $150 Zappos gift card, and even a symbolic superhero cape to proudly wear. Finally, the remaining two dimensions of the Culture Framework are Environment and Structure. The former surveys the physical space of an organization which harmonizes functional, emotional and self-expressive needs. The latter analyzes the established systems and processes that form the framework for how the organization pursues its Shared Purpose. The physical environment of an office has a huge impact on the way people work. When we think of a “bad” environment, visions of cubicles and fluorescent lights dance in our heads, but the reality is a well-intentioned, but misplaced ping-pong table or too much open space can be just as bad. If the environment doesn’t cater to the people in it — introverts, extroverts, collaborators and isolators alike — and consider the form and function of your business, it will limit the potential of the company. For example, Airbnb HQ has big, open areas to meet with one’s team or stretch out with your laptop. It’s freeing and inspiring, but in the nooks and crannies, there are private areas and flashes of color. Each of the meeting rooms is a re-creation of the site’s most unique homes — including the original Airbnb, the home of co-founder and CEO Brian Chesky. Airbnb makes the distinction as a unique environment that goes “beyond foosball.” They recognize the value in creating space for employees so they feel that they belong to the company and that the company belongs to them. Despite the current trend toward flatter organizational structures recently adopted by Tesla, among others, aiming to foster greater agility and transparency within companies, structure is hardly a one-size-fits-all approach. Small to medium-sized companies tend to lend themselves to flatter structures yet businesses that operate on a much larger scale find this approach challenging. Operating a global cruise line with 3,600 guests and 1,200 crew members aboard a single ship is massively complex. Cruise ships today are in many real aspects, floating “mini-cities” with the requisite infrastructure and amenities. 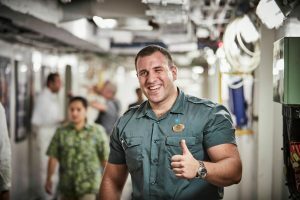 In our work with Princess Cruises, we discovered a unique confluence of the need for spontaneous hospitality and rigorous, hierarchical operations adapted for the unique challenges and complexities in a marine environment with rich naval training and tradition. Maintaining chain of command in a hierarchical structure affords Princess the precision and efficiency to assure safety, smooth operations and readiness for the unexpected vagaries ever-present in the ever-changing life at sea. There’s also plenty of room to meet in the middle between purely hierarchical and purely flat organizational structures. For example, Nike maintains a more traditional hierarchical structure, yet the structure allows for a level of autonomy at each level of the organization and within each employee that is unique. Despite their massive scale, Nike takes pains to reinforce the company’s history of individuality. There is an autonomy in their global structure that truly captures this spirit. Each market, be it North America, Western Europe, Central & Eastern Europe, Greater China, Japan or any emerging markets, has the freedom to adapt and make choices that best serve their nuanced audiences. It is easy for companies to conclude that the aspirations and dispositions of their people are too heterogeneous to create a single, ideal, Employee Experience (EX), and there is truth to this conclusion. But the answer is not “do nothing.” Some attempt to conduct an annual “employee engagement survey” to attempt to simplify the EX choices. But this usually only adds more overwhelming data that fails to capture common themes of underlying employee motivations and unarticulated desires. 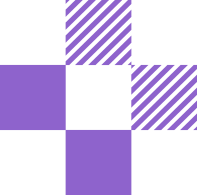 Taking a human-centered approach inherent to Design Thinking, we can employ qualitative techniques paired with continuous feedback loops to provide an adaptive model, incorporating the depth and analytical capacity that is needed to activate Shared Purpose into the very DNA of an organization. We recommend approaching Employee Experience (EX) as an integrated framework comprised of a fluid series of interactions across time, from Recruitment through Sustainment. Using the Culture Framework to account for the multiple dimensions of an employee’s experience across Leadership, Communications, Symbolism, Recognition & Rewards, Structure and Environment touchpoints, organizations can uncover new opportunities that are important, dynamic and relevant to an employee’s evolving experience. Co-creation and participatory methods enable employees to play an active role in the manifestation of their ideal experience, leveraging their untapped internal knowledge and facilitating buy-in for new initiatives by broadening the employee role into critical business stakeholders. Adopting the inclusive and integrated co-creative approaches covered in this white paper, of course, isn’t as easy as setting the agenda and actions from the top down. But those businesses willing to make the investment will uncover with incredible opportunities for success along with the immense challenges required to implement positive change and transformation of the Employee Experience (EX) across complex organizations. As difficult (and sometimes messy) as this work is, the organizations that do it best will win the hearts, minds and commitment of the employees of today… and tomorrow. Learn more about how we help brands on their Employee Experience journey.